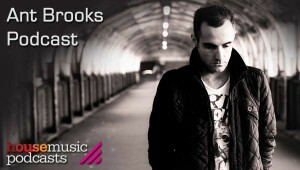 The Team at House Music Podcasts were lucky enough to catch up with Ant Brooks to find out whats going down at the moment! 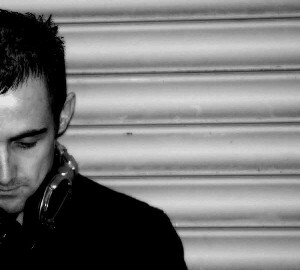 Ant’s recent success with tracks such as “Shuffle”, “Size”, his rework of “Inner City – Big Fun” and more recently his remix of “Michel Cleis – La Mezcla” (Which was Mark Knight’s Killer Cut in his Toolroom radio show) have put him right up there as a definite one to watch in 2010. Producing for just 2 years, Ant already has the support of many of the A listers including Pete Tong, Mark Knight, Axwell, David Guetta, Roger Sanchez, Dave Spoon, Nic Fanciulli, Tom Novy, D.O.N.S, UMEK and many more..
He’s no stranger to radio either with frequent support on Radio 1, Kiss FM and Galaxy FM. Early 2009 saw him invited to the Galaxy Studios for an interview and 30 minute guest mix as part of Riley & Durrant’s “Nu Breed” feature which showcase up and coming UK talent. Pete Tong, Dave Spoon and Sander Van Doorn have all used his tracks in their Essential Mixes, notably from Privilege in Ibiza and Creamfields UK. Space Ibiza resident Jonathan Ulysses is also a big fan and has been supporting Ant’s tracks all summer. Working under aliases Shieldz and H Unit has allowed him to create tracks and remixes covering the whole spectrum of house music. His release list on Beatport sees tracks in House/Progressive/Tech House and Techno which shows his versatility as a producer. Signing to Diffused Music at the end of 2008, Ant has since gone on to release on and remix for labels such as Frenetic, Defected, Spinnin Records, Big In Ibiza, Whoop, Whartone and Stylus recordings and is in talks with some major labels about future releases and remix work. Looking to finish off 2009 with a bang, Ant has a couple more bootlegs and original tracks up his sleeve which will further boost his profile into 2010. 1. What was the first record you bought? Hmmm it was that long ago, I can’t actually remember! This year I’ve been locked away in the studio pretty much solidly all year. It’s now beginning to pay off with releases on labels such as Diffused, Frenetic and Cr2 amongst others. Going to club nights, chatting with the dj’s, handing in mixes..all the usual stuff really. 4. What was your longest ever DJ set? I’m still doing bar gigs at the moment so for the last few years I have been doing at least 6 hour slots every week! 5. What’s your set up like at home? I’m waiting for the cdj2000s to become available so I don’t have a home set up at the minute! 6. What advice do you have for any up and coming DJs? Persistence is key! You only get out what you put in.. and making contacts is essential! 7. Would you agree that you have to produce tracks now to get a name? Totally. There are so many dj’s these days you need to stand out, and making your own tunes is the way to do it. 8. What the largest venue you have played at this year? I’d say that would be Eden in Ibiza, I played at Judgement Sundays in the summer. 9. What’s your most successful track you have produced so far? Hmm, probably Shuffle. Pete Tong played it at the radio 1 weekend at Privilege in Ibiza to 9000 clubbers. I was there, it was a surreal moment! 10. What in your opinion does it take to be a world class DJ? The ability to move with the times while still keeping your own unique sound. Also keeping in touch with your fans..
11. What format do you use Cdj’s or Vinyl? Also why? I made the switch to cd’s years ago now.. You can carry so much more music around, and for me being a producer, I can finish a track during the day then play it that night! 12. What are your top 5 tracks at the moment? 13. What productions are you working on at the moment? I’m working on a collaboration with Michael Woods called “Yemba” which will be out soon on Diffused Music. I’ve just finished a remix for Meck, Dino Lenny & Madonna which was an honour to do! Plus various other original tracks and collaborations..Very busy studio wise at the moment! 14. What do you think of the house music scene in the UK at the moment? I think it’s bubbling along, but with all the top 40 chart success with house records at the moment its just going to get stronger into next year. 15. Where would you like to perform that you haven’t yet? In the UK, it would be main room Ministry Of Sound. Abroad it would be on a far flung beach somewhere in the sun! 16. In Your opinion who is the best DJ in the world? I can’t really answer that, there are so many hardworking dj’s who are constantly touring at the minute. I think PR has a lot to do with who is perceived to be number 1! Although I’m not always convinced number 1 is actually number 1! To continue making tunes and building my profile as big as I can! I have lots of releases due out over the next few months so will be making lots of follow up records! With Ant Brooks working with CR2 Records, they also asked him a few questions! Check these out! 1. What’s your name and birthday? My name is Anthony Brooks and my birthday is 8th September. That would have to be strawberry! 3. All time renowned party trick? 4. What car do you drive? I currently have a Fiat Punto. Nope. Not a fan of animals really..
6. Biggest achievement to date? This happened earlier this year over in Ibiza. I was partying at Privilege when Pete Tong played my track “Shuffle”. It was an amazing experience to see 9000 people all going crazy to my tune! 7. How did you get into Djing? I have been obsessed with music as far back as I can remember. Unfortunately I was too young when dance music exploded here…But I did have a lot of mix tapes from the Eclipse in Coventry (My home town) from around 89/90. From then on I was hooked. I didn’t start djing properly though until I was 18. 8. How is your sound reflective of the electronic music scene today? I wouldn’t say you could put my style into any particular genre really as if you check Beatport you will find me in House/Tech House/Techno and Progressive.. I’m inspired by all forms of dance music, although I’m really into the groovy tribal tech house sound that is about at the minute..
9. What colour is your sound? Hmm, one day its black and the next it could be yellow! What do you get if you mix those?!? 10. What would you like to say to illegal downloaders? If you don’t stop it now, there are going to be less and less quality tunes released. Your ruining it for yourselves! 11. What will the vibe be in clubs in 6 months time? I think more and more people are getting into dance music especially with all the top 40 action at the minute so it’s just going to get stronger! 12. What is your favourite Cr2 record? Oooh thats quite tough one! I’d have to say Asle – Golden Sun! Classic! 13. What’s the last track you played out? I think it was the Avicii remix of Boogers! 14. If you could come back as a famous dead person who would it be and why? Probably Elvis. Who wouldn’t wanna be the biggest musician in the world?!? 15. Which do you prefer Twitter or facebook? It’s Facebook for me. Great to keep up with people and what’s going on..